Yes, my date showed up in costume. Yeah. The. Big. White. Hard-cased. Suit. With helmet in hand (thank God). Alan and I met online (I’ve really got to stop torturing myself and just find a man at the gas station or something), and immediately clicked. I was 30, he was 29 and in school at The University of Houston, getting his PhD in Political Science. A smartie! Anyways, we had a lot in common and would talk on the phone for hours. We both liked the Houston Museum District/Hermann Park area, so we set up a date for an early dinner at a nearby Taco Shop and planned to head to Miller Outdoor Theatre for a concert afterwards. Let me give you the stats for Alan. He is a 6’5″ male with broad shoulders…complete with a brillo pad of curly, brown hair and a large nose. So, yeah. He showed up in costume and I didn’t run out the door. And no, I’m not on drugs. I hardly ever leave dates, no matter how bad they are. It’s the nice person in me. Unfortunately. Anyways…after I got over my shock of him being dressed up and me being slightly embarrassed, we ordered dinner. I ordered a couple of tacos and a drink, and he ordered a burrito. I think he knew that I wasn’t the woman for him and I definitely knew that he wasn’t the man for me, so we just made small talk. There weren’t any crazy awkward pauses which was good, and, I learned a new thing or two. One Thing: Towel Day. Read about it here. There are no other words for it. But, he celebrates it and even dresses up for it. Yes, he wears a towel. I guess the date wouldn’t have been so bad (completely), if he hadn’t started rolling up balls of foil (from his burrito) and throwing aiming for my cleavage V-neck shirt opening. 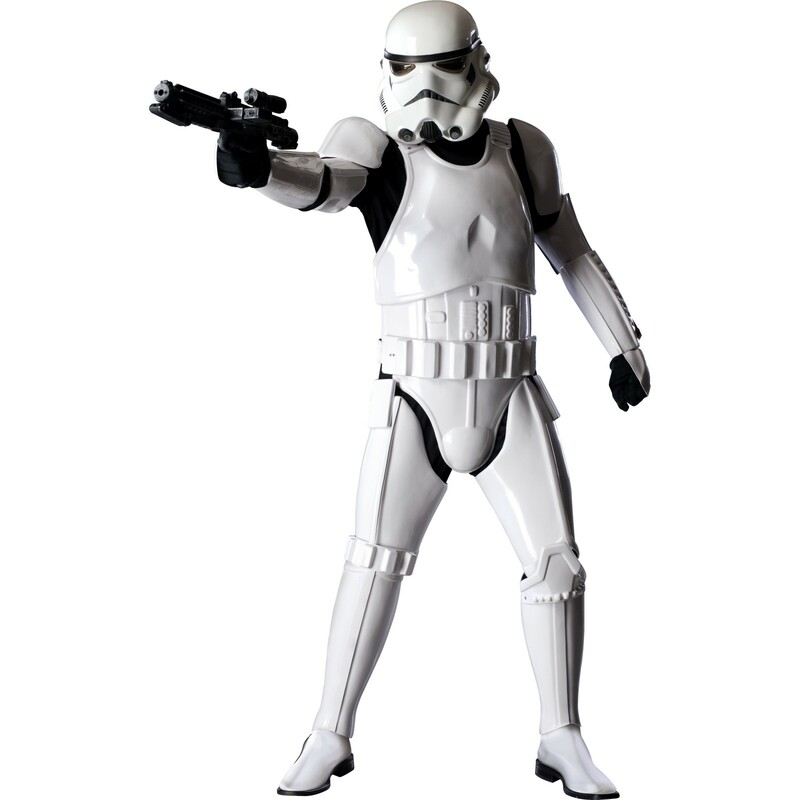 So, yeah…that’s the Storm Trooper. He was the first date I had in Houston when I moved down here. Fun times. Fun times, indeed.